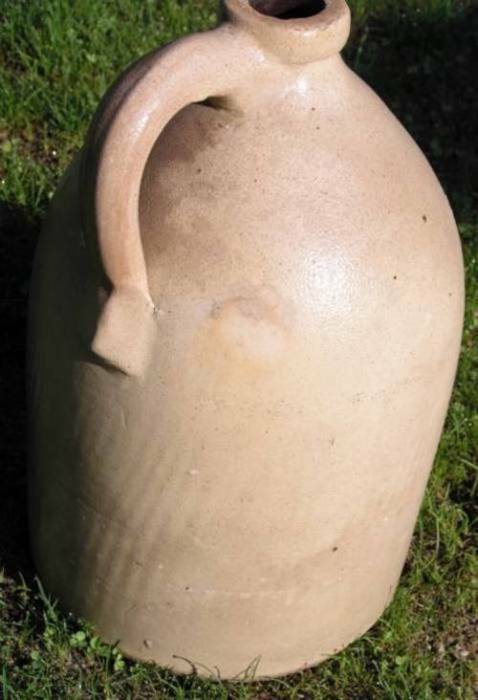 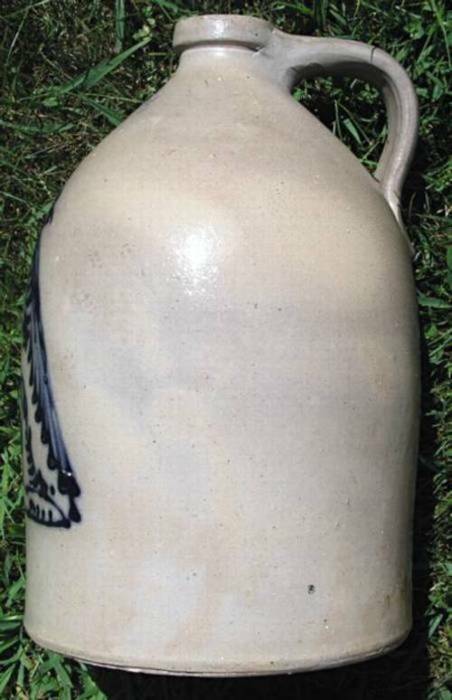 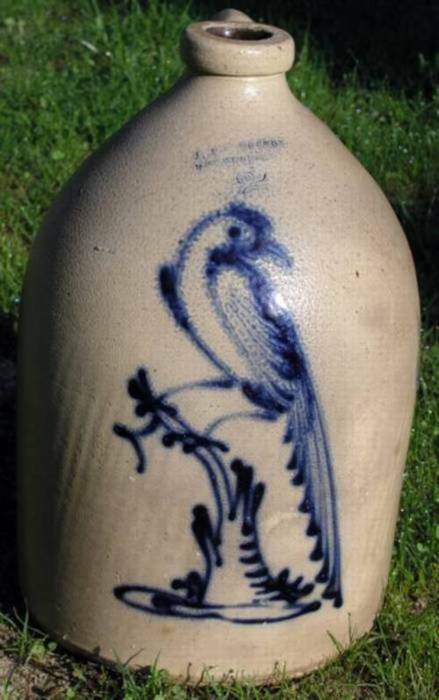 Two Gallon J&E Norton Bennington Vermont stoneware jug with crisp blue decorated Pheasant on stump. 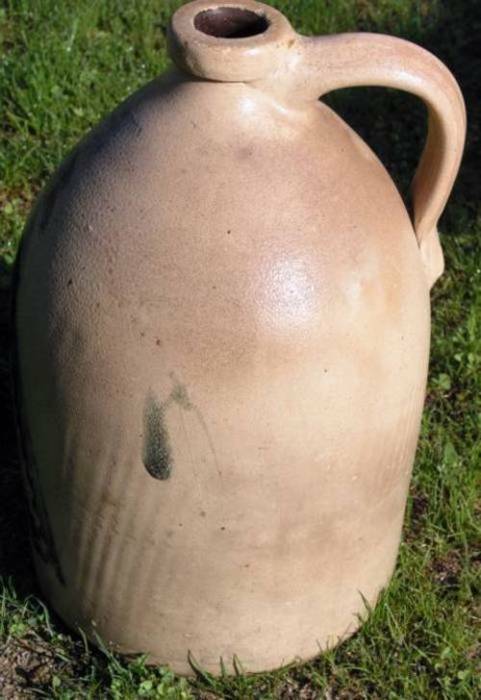 Wonderful original condition and has what at first appears to be a crack along the very front bottom edge but is in fact a stretch line with some glaze over that was done in the making and is not an issue. 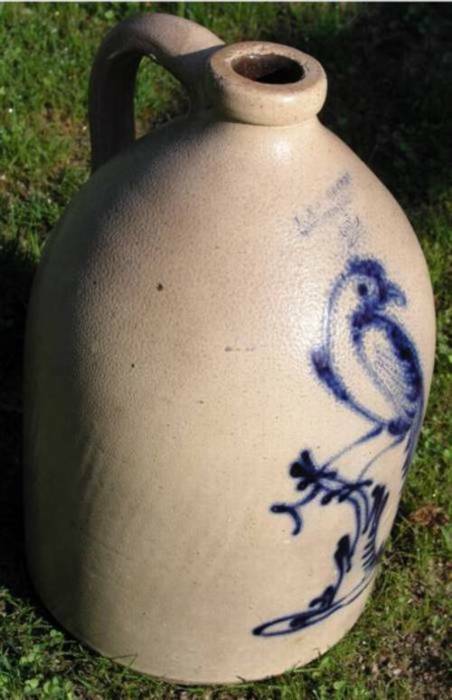 Dimensions: Measures 14" tall X 8 .5 " across the base.